Split PDF By Bookmarks with the help of Coolutils! Want to split PDF file by bookmarks? There is the most powerful solution that is yet user-friendly. PDF Splitter from CoolUtils will extract all or individual chapters according to bookmarks. Each bookmarked file will turn into a separate PDF. The name of the bookmark will be the name of the new file. You can also extract certain bookmarks. You set the names of bookmarks that you want to extract and the rest and not processed. Many PDF tools can split PDF files by bookmarks. But only PDF Splitter allows user selecting the level. The hierarchy of bookmarks can be rather complicated. For example a PDF book can be divided into 2 episodes with 5 chapters in each. PDF Splitter from CoolUtils can split the book by bookmarks at certain levels: create a new PDF for every episode or every chapter. This option comes in handy when you split a PDF file with a complicated hierarchy of bookmarks and want to reduce manual work. 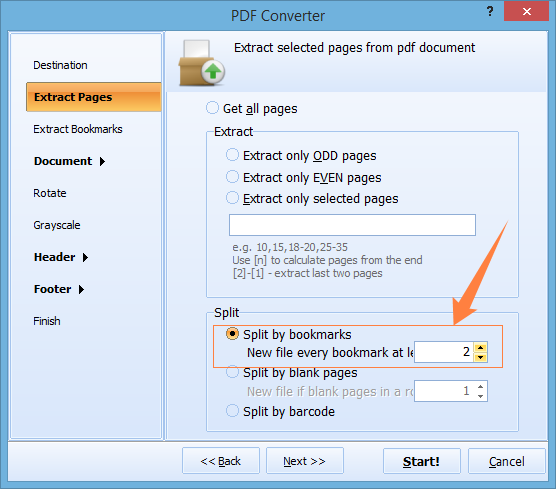 PDF Splitter from CoolUtils is not limited to splitting by bookmarks option. It may also split PDF files by pages or extract only selected pages (2,6, 7-10). With all these options PDF Splitter from CoolUtils is a truly powerful solution to split PDF files. 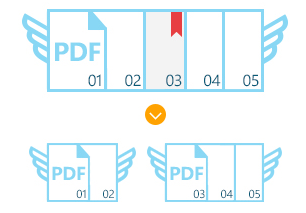 PDF Splitter from CoolUtils is available as a trial download for free. We offer several licenses to suit every need, from personal to developers license with ActiveX. 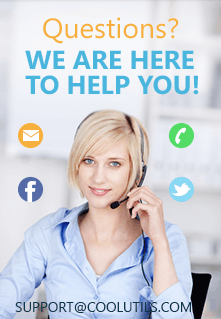 Registered users are entitled to free upgrades (including major ones) and free prior tech support for the first 12 months. Upgrades are optional, the key does not expire. No hidden fees.